A relaxed looking Kate Hudson was photographed on Wednesday making her way through LAX with her boys Ryder and Bingham. Fresh off a few days in Miami, the actress guided Ryder though the airport as she held Bing on her hip. 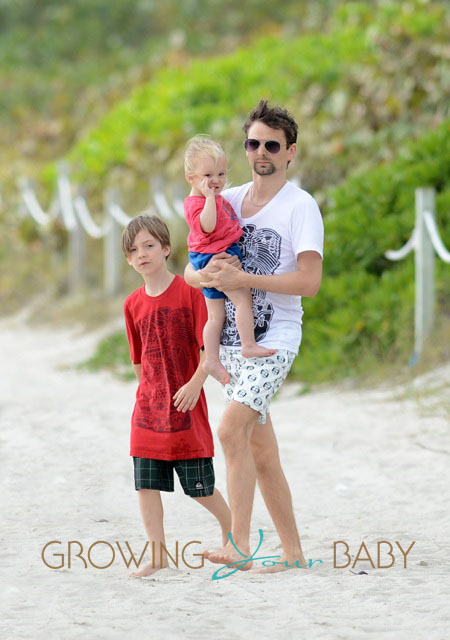 The family was in the sunshine state spending time with Kate’s partner Matt, while he played a few dates with his band Muse. The tour has now moved on to the Northern states, which are filled with snow, so Kate and her boys have headed back to sunny LA. Snowsuit or bathing suit? We would have done the same!